A beautifully restored heritage-listed sandstone building built in the 1800's. Located in the heart of the business and leisure precincts, within walking distance to the Opera House, Harbour Bridge & the Rocks. 336 rooms and 26 suites of a luxurious & contemporary design, muted chocolate blend is welcoming & calming. All our guest rooms & suites feature separate shower & deep European bath, direct control air-conditioning, hands free phone, in room safe, in-room movies, dataport and large work desk. Our Conference & function rooms can accommodate from 10 to 250 people with a full range of audio-visual equipment. 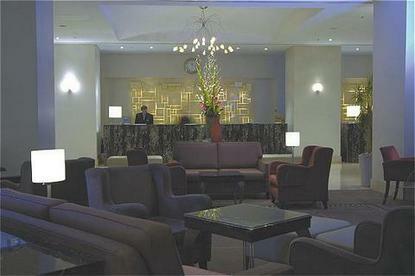 Dining and entertaining options include our city style eatery Bistro Fax, ABX Bar and Lobby Lounge. Plaza Club Lounge offering a Deluxe Continental Breakfast with two hot dishes, all day tea, coffee & pastries, evening drinks & canapes. Health Club features our 15 meter lap pool, full gym facilities, steam & massage rooms.